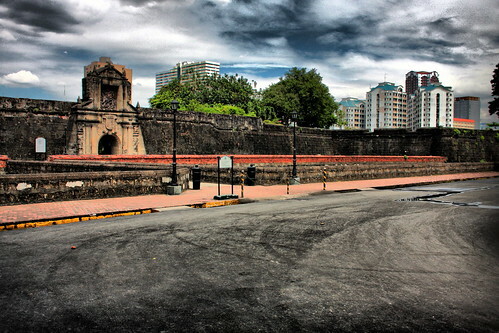 We where in own to make some errands, and we took the opportunity to visit Fort Santiago. 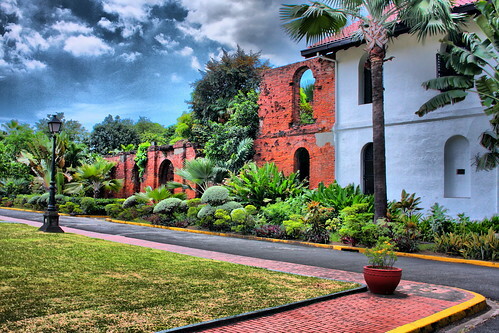 Effective 1 February 1992, the management and operation of Fort Santiago has reverted to the Intramuros Administration, an attached agency of the Department of Tourism. 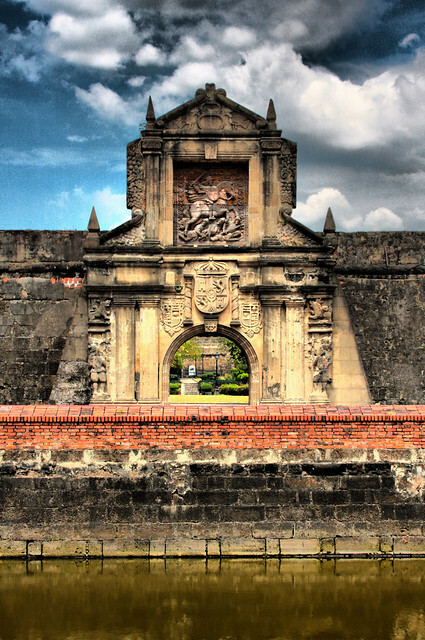 Fort Santiago, a national shrine and historical landmark, is a priceless heritage of the Filipino people, dating from the 16th century. 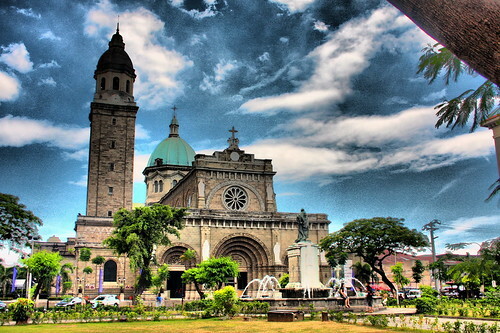 Visitor are requested to observe order, proper decorum and cleanliness in these hallowed grounds. 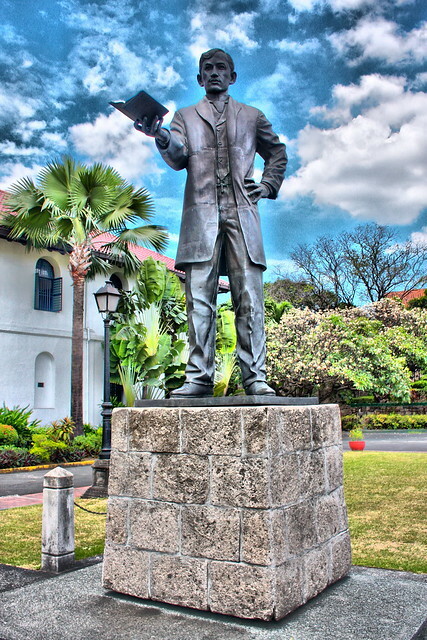 Effective November 1, 2008 entrance fees shall be P 50.00 per student and P 75.00 per adult. 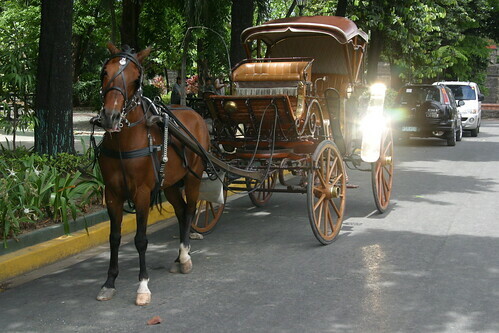 Fort Santiago is open daily from 8:00 a.m. to 6:00 p.m.
A horse dragging around with some bling bling, but since we all brought our own legs today we continued by foot. Not all signs are as cheap as they seem, this one clearly needed sponsoring. Some fun for the small were available. 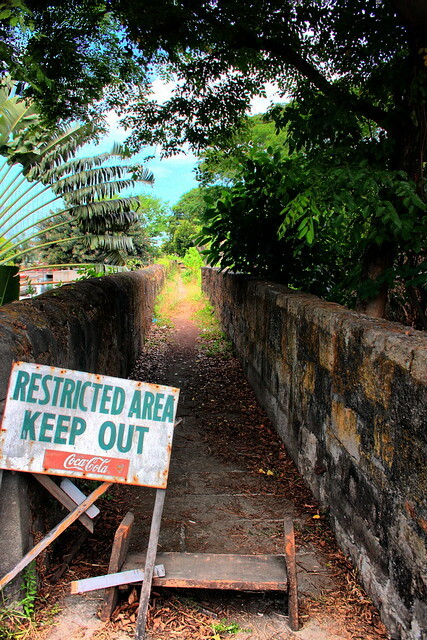 The gate to the fort and the bridge over the moat. I'm guessing its strategic not to have the bridge centered in front of the gate. The moat and gate. Fish where swimming around, no crocodiles in sight. 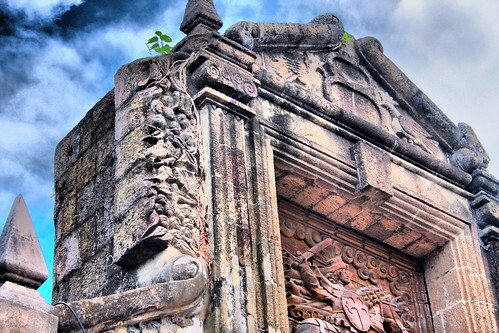 Something is growing on top of the gate. 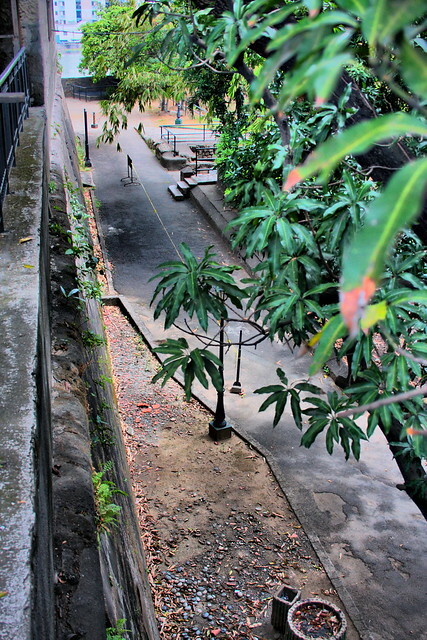 Inside, between the two walls, there where now a beautiful garden. Rajah Sulayman, whatever that is. 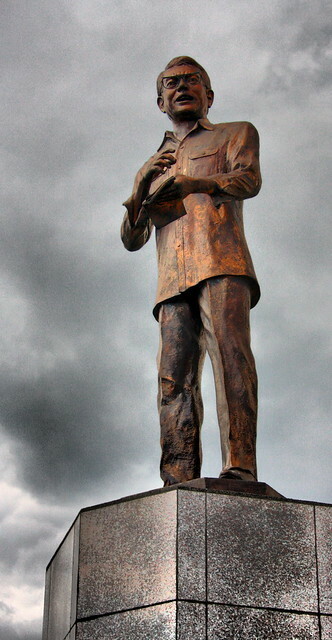 Inside the Shrine of Jose Rizal. 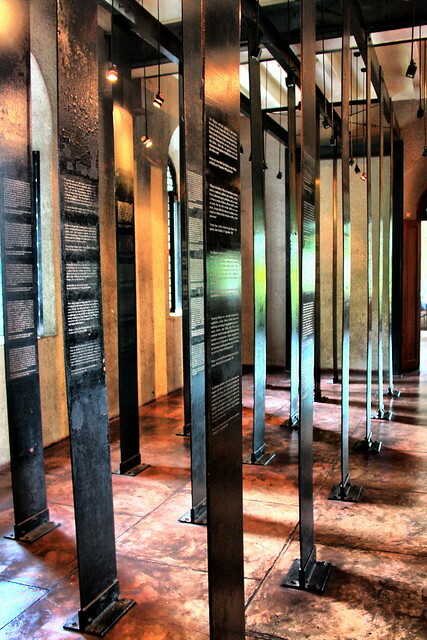 Texts in five languages where written on these metal thingies. These pockets are assumed to be prison cells that can be filled up with water at will. 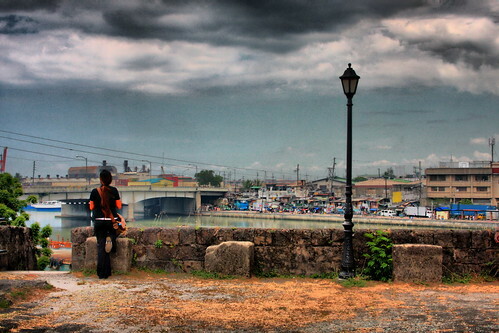 Claire looking over the river. 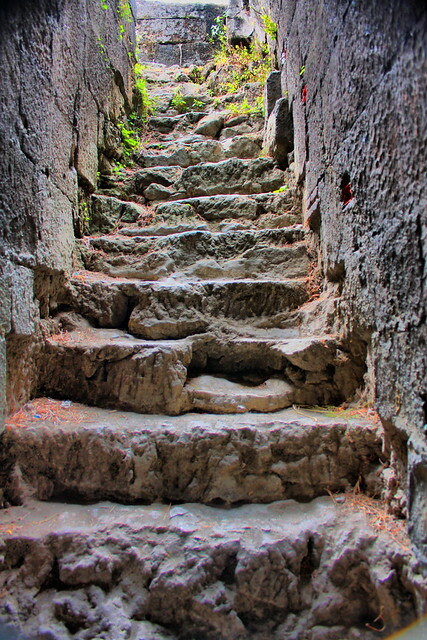 The stairs where not all that safe. 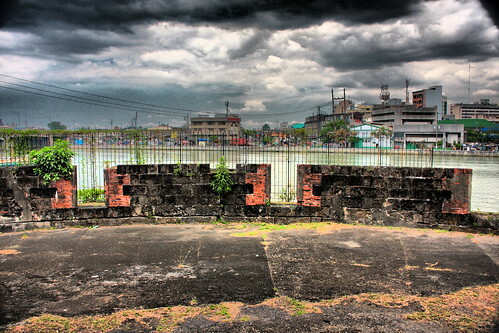 The gate and moat seen from the wall. 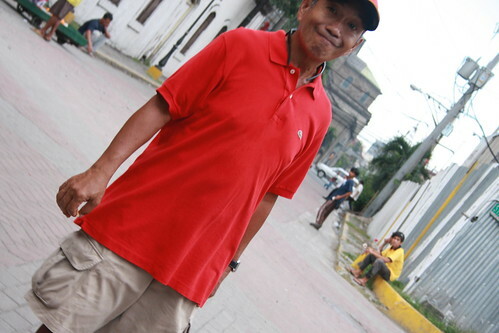 Outside Fort Santiago Manila and Intramuros where displaying it's normal everyday face. 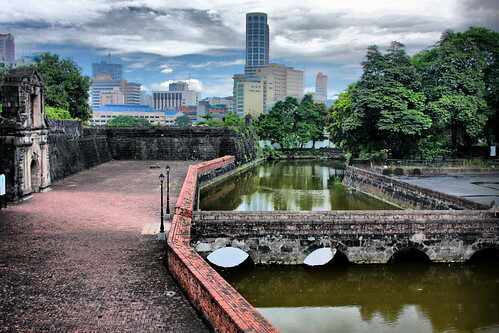 Fort Santiago One of the oldest fortifications in Manila. 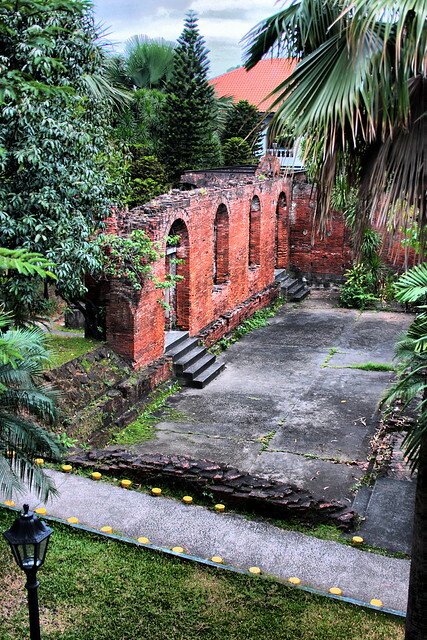 Built in 1571, on the site of the native settlement of Rajah Soliman. Stone fort built between 1589 and 1592. Damaged in the 1645 earthquake. Occupied by the Japanese military in 1942 where hundreds of civilians and guerillas where imprisoned, tortured and executed. 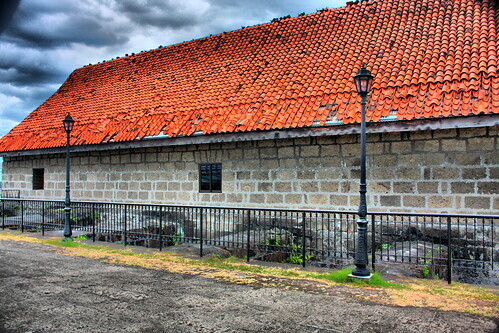 Used as depot of the U.S. Transport Corps before turnover to the Philippine Government in 1946. 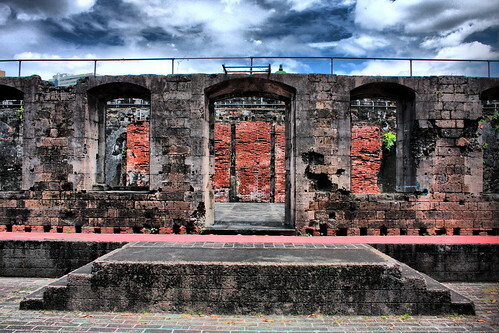 Restoration and maintenance of the fort began in 1951 under the NationalÂ Parks Development Committee. 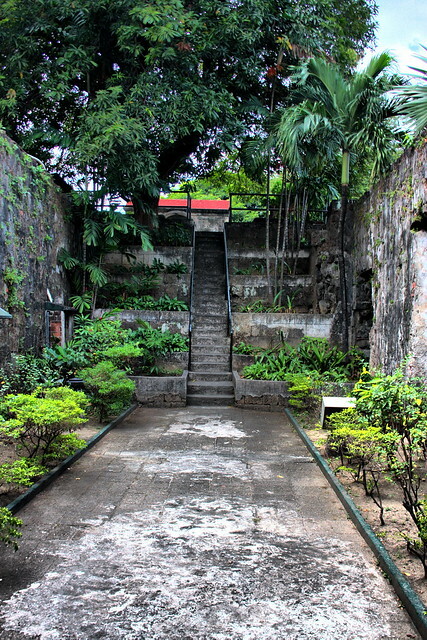 Management was turned over to the Intramuros Administration in 1992. 2 thumbs up and 2 biggy toes twitching. how do you get the sky to look like that?? I use multiple shots to create one image. hi! 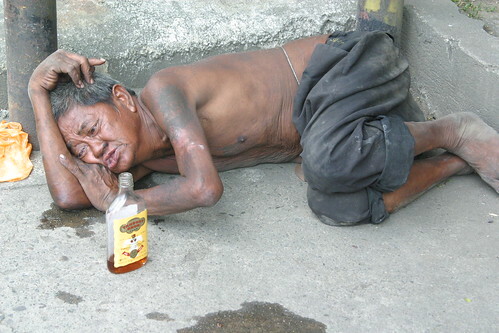 i'd like to know po kung until now if ganun pa rin un entrance fee? thanks! 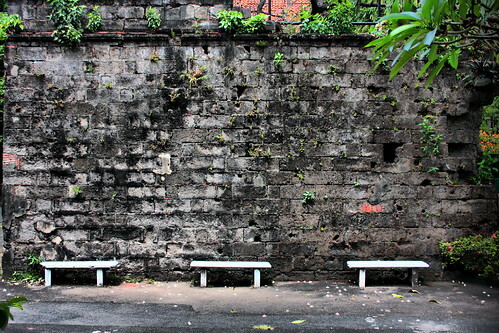 According to Intramuros official website they price is the same. is it ok, to enter with food.? 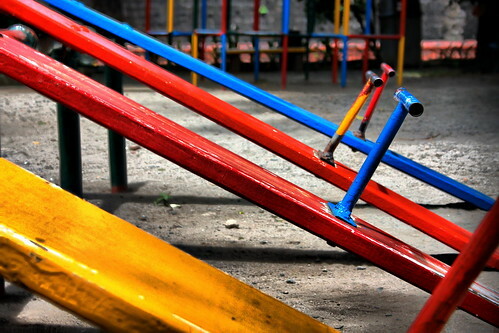 Yes, there are tables next to the playground where you can sit and eat. No permit was needed at the time. I think only commercial photography requires permit at present date, but there seems to be a dispute regarding the distinction between commercial photography vs commercial photographer.